Neutrocork® Classic is a high-tech, competitively priced closure derived of micro particles of whole natural cork and designed for early-drinking still wines and light sparkling wines. Since its launch in 2001, winemakers have embraced Neutrocork® as a high performing value priced natural cork alternative to synthetic stoppers and screwcaps. Neutrocork® has a consistent diameter and regular shape without the use of plastic expanding substances which allows Neutrocork® to pass the most selective and scrupulous tests. Recommended for wines of fast consumption (up to 30 months), it is easy to use and especially suitable for high-speed bottling lines. All granules used in Neutrocork® are treated with our proprietary R.O.S.A.® process to minimize the risk of TCA. 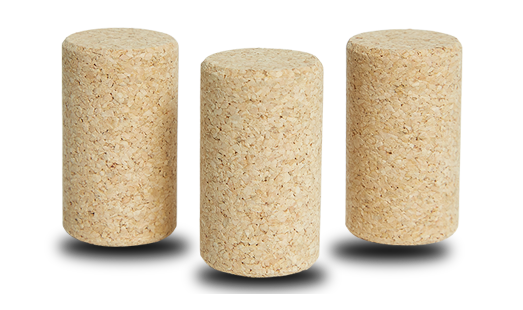 Each Neutrocork® is 100% guaranteed to be below 1 ng/L of TCA on each individual cork.